BOUNCE technology provides long-lasting energized cushioning and comfort. Black BOUNCE midsole. Pull tab at heel counter. Length (heel to toe)-10.75". Shoes are in pre-owned condition and show signs of light wear. Heels and toes of both shoes show light dirt. Insoles-10.5". Width-3.5". Here is a nice pair of Vasque running shoes. Doing that is against U.S. and international laws. Sole length 11 1/2". Insole length 10 1/4". Skechers Savvy Baroness Women's Casual Slip On Sneakers Colors! Sizes NIB Comfy! On Cloud Swiss Engineering Pink Gray Jogging Lightweight Shoes Womens 9.5. Condition is Pre-owned. Shipped with USPS Priority Mail. The perfect cross trainer shoe. Soft EVA midsole with RE-ZORB® NRG drop-in for superior cushion and rebound. with pull tab for easy on/off. Lightweight construction. Second density EVA outsole. Skechers Go Walk Joy Slip-On Sneakers. Feel the JOY in your sole when you slip on these lightweight, comfy kicks with Goga Max insoles and an easy-to-wear, casual design. From Skechers. Textile upper; man-made balance. Rare discontinued item. 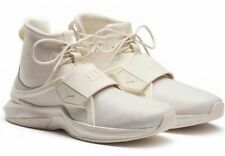 New in box and unworn authentic Puma Fenty slip on Bow Sneaker Puma x Rihanna. Acquired directly from Puma in the United States. Ultra-luxe satin skate sneaker on rubber flatform. Viscose and satin upper. Rubber flatform, 1.5" (40mm). Rubber sole. Slip-on style. minor scuffs consistent with typical defects for this category. • Casual Athletic Sneaker. • Rubber sole. • Item model number: 36453901. • Imported. FENTY PUMA by Rihanna on footbed. All over satin upper with a tonal outsole, the sneaker features a delicate satin bow and the PUMA by Rihanna signature tongue patch. PUMA by Rihanna sign off patch. NEW WITHOUT BOX. 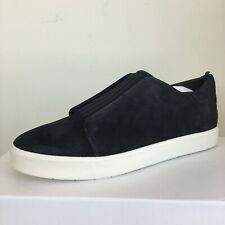 SLIP ON SNEAKERS. We appreciate your understanding. Color: White. Simply request that a combined invoice be sent to you if one is not automatically generated. Model: EARTHEN. Color: Blue. Style: SNEAKERS SLIP-ON. Material: LEATHER/TEXTILE. Condition: New in Box.